For many companies, supporting an aging on-premises PBX phone system has become a painful challenge. The cost and complexity of keeping the hardware alive make these systems more of a liability than an asset. Plus, they lack the flexibility and functionality needed to keep pace with a mobile and distributed workforce. 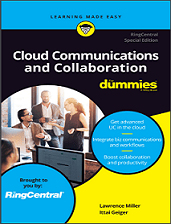 Today’s cloud communications and collaboration solutions can alleviate many of these headaches while enabling a dramatic increase in productivity. By offering tight integrations with popular business tools, video conferencing, and other advanced capabilities, these modern solutions go far beyond the legacy phone systems of yesterday.